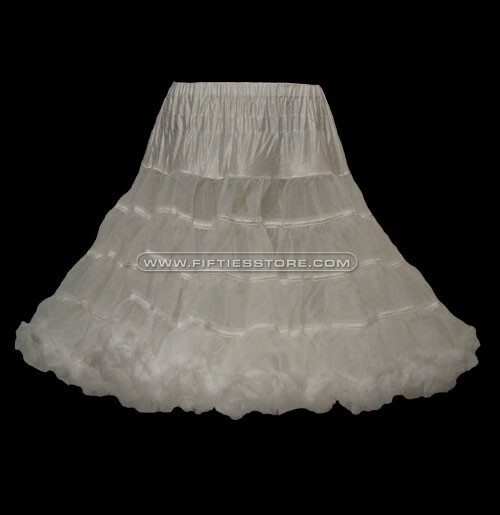 The petticoat has been around for centuries, it can be traced back as early as 1585, when it was made of linen and horsehair! 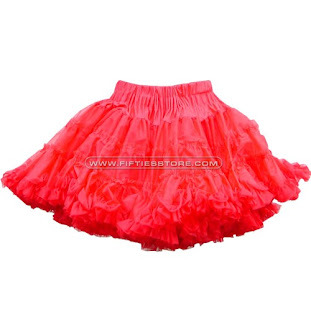 Throughout the ages women have used this rather strange undergarment to form the skirts of their dresses in the desired shape. 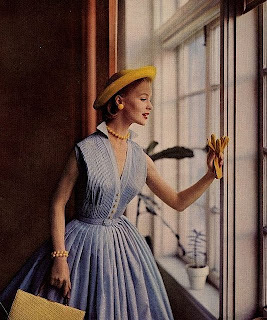 Although this particular shape changed a little as time passed, "extra full" stayed in fashion for a very long time, be it with little intervals. The wider the skirt, the thinner the waist and the fuller the bust, the more perfect your figure. 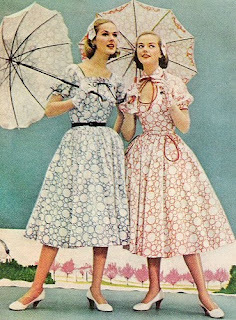 At some point the required width of a skirt was only accomplished with the use of no less than six petticoats overlapping each other. The weight of the skirts combined with a too tight corset became almost unbearable, especially when worn in the heat of summer. 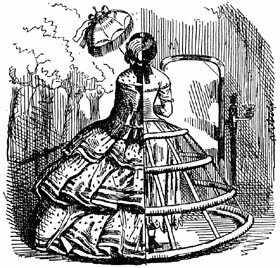 It became clear that a more airy solution needed to be found, which led to the invention of the crinoline. 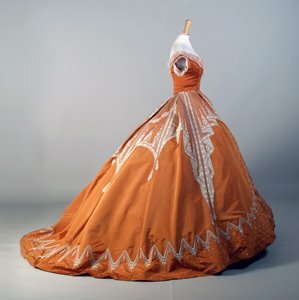 This contraption kept being used up until the beginning of the 19th century when finally full was no longer cool, and the tight skirt took over. Before the fifties the petticoat had been reintroduced into fashion several times but mostly because of the financial and social unstableness of those few decades it had not been a great success. 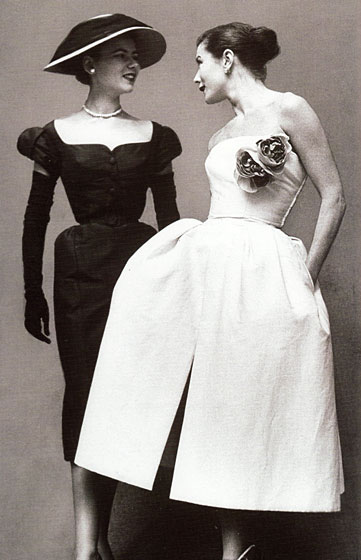 Then, in the year 1946, Christian Dior created a legendary line in which he used the petticoat, immediately launching it back into popularity. 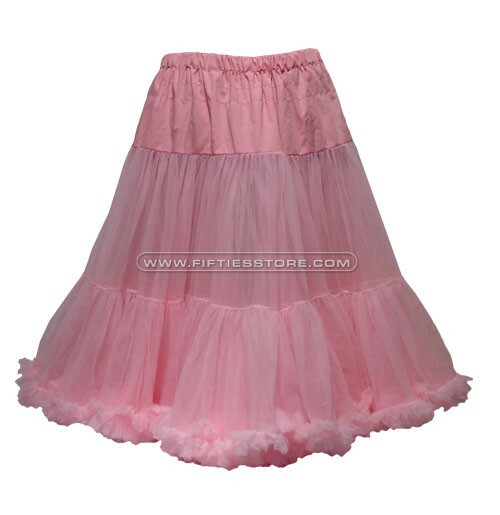 All through the fifties it stayed in fashion and nowadays we almost always associate the petticoat with that fabulous decade. It's been a long time, and maybe that means that the petticoat will become fashionable again soon. It is on occasion still worn, even by celebrities. But maybe we have become to practical and the modern day crinoline will never fully return to the masses. Of course that's no reason to not wear one! 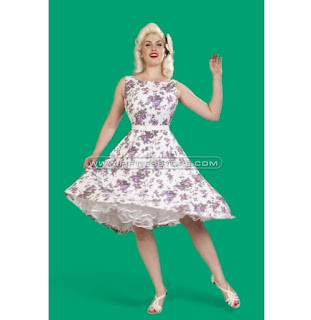 And underneath the full skirt of one of our retro and vintage style dresses it does look incredibly gorgeous. At Bennies Fifties, or online at www.fiftiesstore.com, we sell petticoats in 8 different adjustable lengths, in 3 different widths (2 different fabrics) and an enormous variety of colours, for children and adults. We've got the right one for any dress. 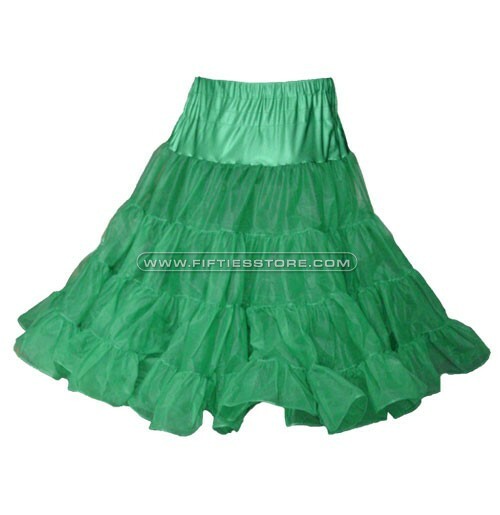 Here are some examples, please go to our online store to see the rest.